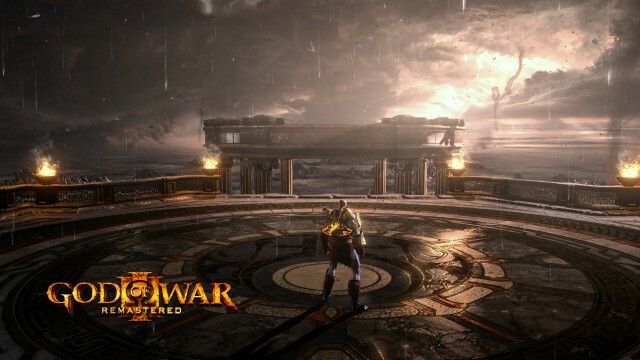 After dealing with the Titans in God of War II, Kratos is shown approaching Mount Olympus at the beginning of God of War III. It’s a visceral opening for a game that was lauded for its intense action, jaw-dropping scope and ahead-of-its-time visuals back in 2010, and helps to show why Sony decided to remaster and re-release it in this year of 2015. After all, there are very few games that boast such incredible set-pieces, nor are there many titles from its generation that come close to matching it visually. Having been given a visual makeover, complete with an improved frame-rate that doesn’t seem to ever dip below 60 frames-per-second, God of War III Remastered is available for purchase on Sony’s industry-leading PS4. Retailing for forty dollars, it’s a tad on the pricey side, but what’s most important is that the game it presents holds up very well five years after its original release. If you’re new to the party, God of War is the tale of Kratos, a mortal who’s livid with the Gods because they tricked him into killing his wife and child. Covered in their ashes, he swears revenge on those who betrayed him, including his father, Zeus. This third numbered title is perhaps Kratos’ final outing, as he scales Mount Olympus in search of the King of the Gods, himself. However, things have never been easy for our white-skinned warrior, and this campaign forces him to battle his demons — and his family — in an attempt to achieve his ultimate goal. 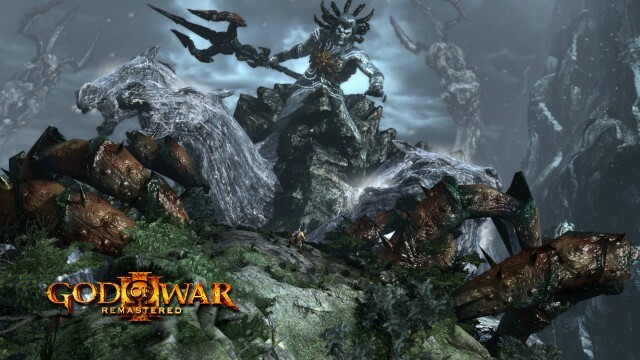 Building upon the strengths of its well-received predecessors, God of War III Remastered delivers fast and fluid combat that is easy to grasp but hard to master. It also excels by lessening its downtime and by limiting its puzzles, which were two of the things I appreciated most. Since honesty is key, I must admit that the ten hours I spent playing through God of War III Remastered acted as my first experience with the game. 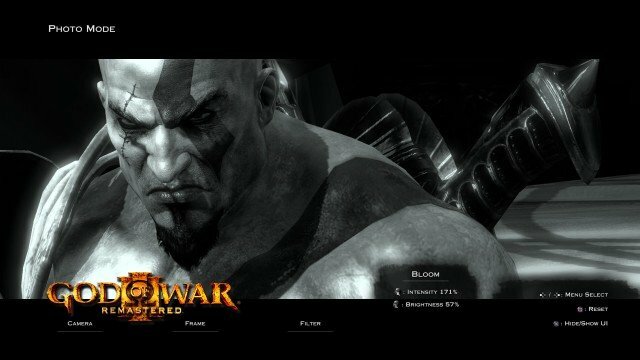 In fact, although I loved the original God of War and had a blast with God of War: Chains of Olympus on my PSP, it wasn’t until God of War: Ascension was released that I returned to the series. I had high hopes for that game, too, but it ended up boring and disappointing me until I came close to its end. There were too many puzzles, the game was poorly paced and its sluggishness really got to me. God of War II‘s abundance of puzzles also did the same, because I took a break from it after dusting it off and have yet to go back. Going into God of War III Remastered, I was worried that my love of the series had dissipated, and that I wouldn’t enjoy it much. I’d been asked to review it, though, and wasn’t going to pass up the opportunity to check out the remastered version of such a beloved game, especially when it happens to be a sequel to one of my favourite PS2 titles. And, although things started off a bit slowly (despite some beautiful set-pieces), I ended up really enjoying my time with this game and agree with those who consider it to be one of the best action titles of all-time. With full 1080p resolution and a 60 FPS frame rate at its disposal, God of War III Remastered practically resembles a PS4 game. Then again, this was a game that was considered to be ahead of its time in the looks department when it was originally released onto the PlayStation 3. It’s just a shame that some of the cutscenes aren’t up to par with the rest of the experience. Though they still look pretty good, given that this is only a five year-old game, the difference is noticeable. It takes you out of the experience a bit, too. This is an almost forty gigabyte install, though, and the effort that was put into remastering the majority of the game shows well. God of War has never looked this good, without a doubt, and comparisons prove this. I wish I could say that it plays as well as it looks, too, but there’s one slight bug that keeps me from doing so. For some reason, I encountered moments where I was unable to move Kratos. It would only last for a few seconds, and didn’t seem to occur during battle, but it was still noticeable. Don’t get me wrong, though: This isn’t a broken or terribly problematic remaster. It just has a hitch that will hopefully be patched out in the near future. 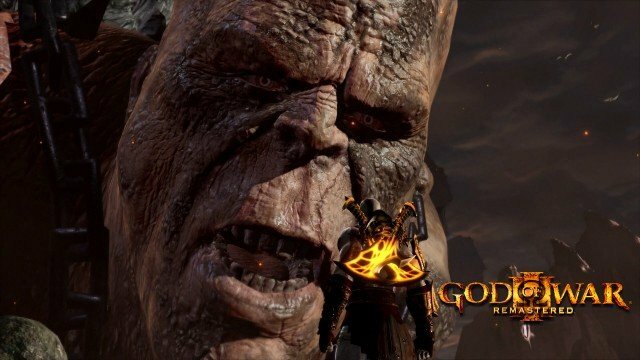 If you’re interested in another play through, or happen to be looking at purchasing God of War III for the first time, there’s nothing game breaking to worry about. Getting back to the positives, there’s a new photo mode included that will let those with interest snap, edit and share their own screenshots. It’s a neat feature that seems to be popular these days, but I’m not the type of person who enjoys using such tools. To each their own, though. In conclusion, while it’s detrimentally pricey, God of War III Remastered is a very solid upgrade to an already great game, and one that fans will want to add to their collections. It’s just a shame that the team behind it didn’t choose to remaster the whole thing like they should’ve. This review is based on a physical copy of the PS4 exclusive, which we were provided with.